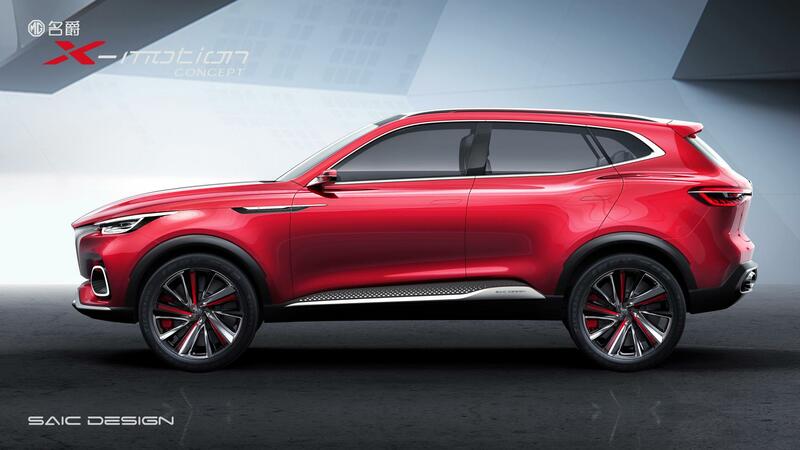 This morning in Beijing, the MG X-motion concept car premiered at the Beijing Auto Show. The X-motion follows the MG brand design philosophy of Emotional Dynamism that was showcased in the brand’s first full electric sports car concept, the MG E-motion. The ‘X’ in the product name X-motion represents the endless possibilities of how people can relate to the design. Whether that is through its stunningly eye-catching appearance, inspiring performance thanks to its sporting genes, or through an appreciation of its multi-dimensional intelligent technology. Crowned as the MG Range Captain the concept has been designed to be the largest model in MG’s growing product portfolio. With a bold, dominant design, the X-motion has a muscular appearance that conveys a sense of fluid motion. The X-motion is also a world-leader in the field of mainstream SUV design as it utilises exceptionally sensual surface and shadow shoulder, to add a sense of movement to the overall form. Other design features to highlight include the stellar field grille that frames the iconic MG badge and distinctive hurricane aluminum alloy wheels. MG has also employed a custom LED design to create the hunter eye headlight and light field taillight that are a statement in the MG design language. Incorporating advanced technology that has been developed by parent company SAIC, the X-motion will include full connectivity. Driven by a commitment to innovative transformation, the car will also feature an electric powertrain, interconnection, intelligence and information sharing. Daniel Gregorious, Head of Sales and Marketing at MG Motor UK, said: “We’re very excited to see X-motion unveiled in Beijing. This is further evidence of the emergence of MG as a serious player in the global market with advanced tech and stunning design. We’re yet to decide whether X-motion will come to the UK, but we can already see that MG’s design language and value-for-money approach are finding favour with British buyers who are choosing MG in ever-growing numbers”.